"How am I doing? Best week EVER!" 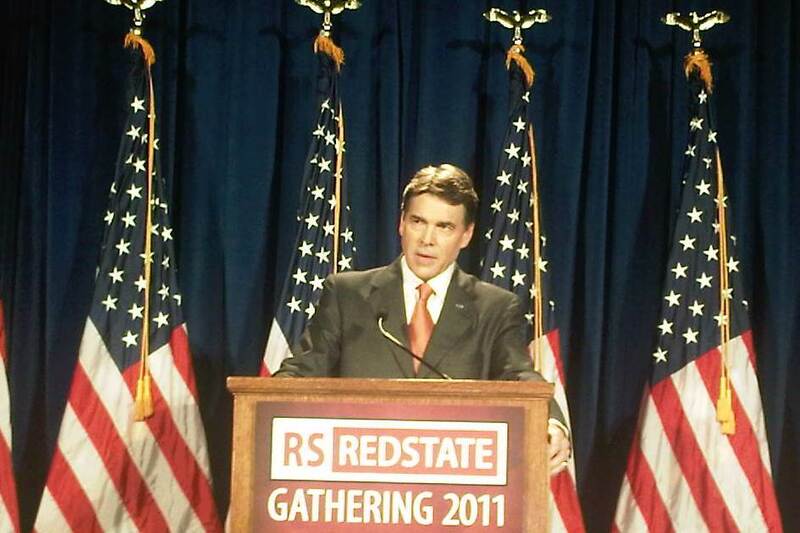 Shortly after announcing his official candidacy, Texas Gov. 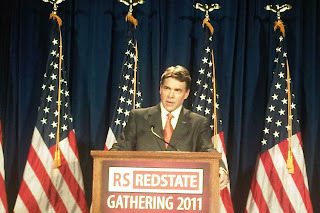 Rick Perry has emerged as rank-and-file Republicans' current favorite for their party's 2012 presidential nomination. Twenty-nine percent of Republicans and Republican-leaning independents nationwide say they are most likely to support Perry, with Mitt Romney next, at 17%. 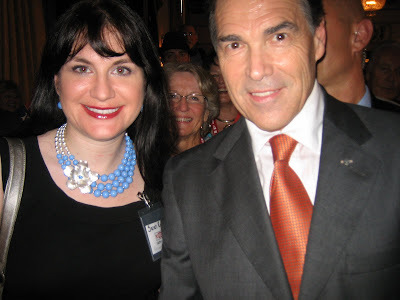 For those of you who like all the nerdy details, the full article has lots of interesting tidbits about Perry's performance with various voter subgroups and the polling trends over the summer. But the real question is, who has better hair? Make no mistake, many states are well positioned to realize the same energy production benefits [as Texas]...Going forward, the question is which leaders in which states have the political courage to stand up to environmental activist groups and their media allies who routinely vilify energy production? 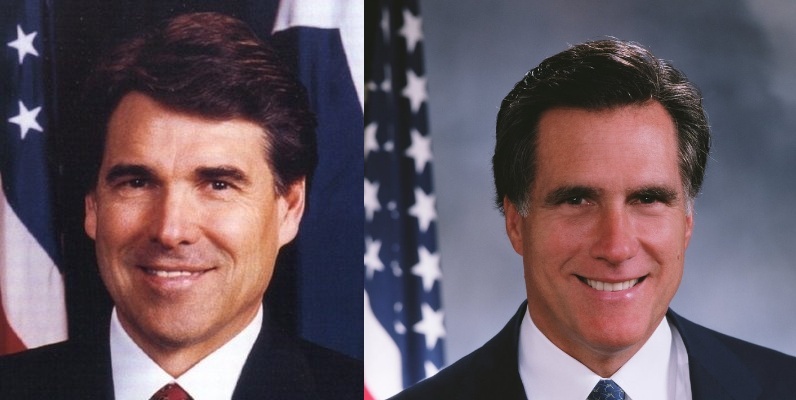 ...Which brings us back to Perry. The Texas economy is reaping the benefits of energy production not just because Texas, like many other states, has access to abundant oil and natural gas reserves. 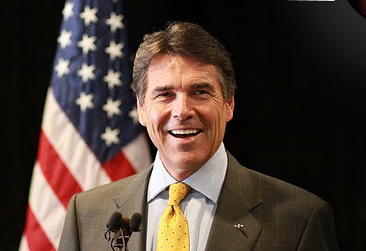 Rather, the Texas economy is reaping the benefits of energy production because Rick Perry and other state government officials are encouraging rather than stifling energy production. ...[T]he success of the Texas economy has been driven by wise policy decisions rather than blind luck, and Rick Perry deserves a Texas-sized share of the credit. I'm so awesome one flag is not enough. While I'd like to see how he performs in the debate before officially signing up for Team Perry, I was very impressed when I saw Perry at the RedState Gathering in Charleston, SC earlier this month. You've probably seen his announcement speech by now (if not, here's a link to the video). 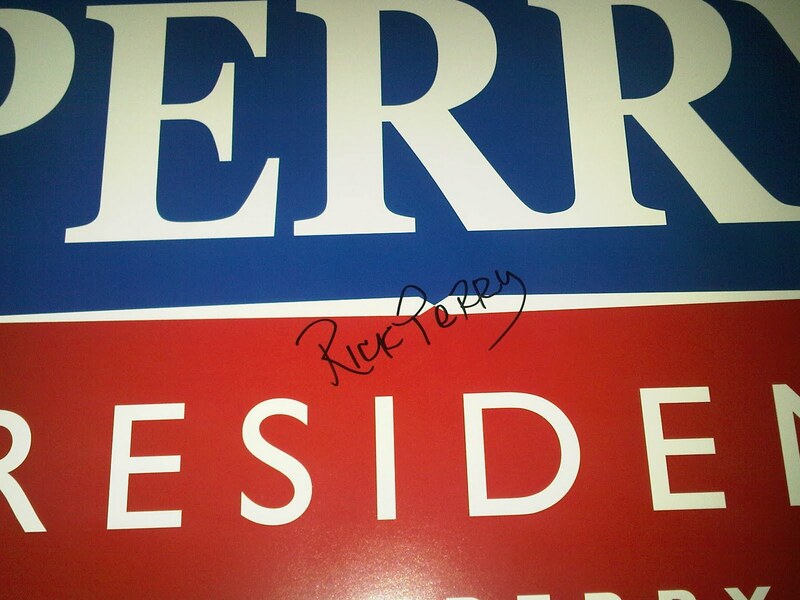 Perry spent a lot of time afterwards greeting as many people as possible, taking photos and signing autographs. Lucky me managed to score both a signed Perry sign and a photo with him. Wouldn't it be cool to see that signature on a bill repealing ObamaCare? Keep up the good work, Governor, and you've got my vote. George LeMieux tells the BEST jokes! Happy Anniversary to George LeMieux! Will George LeMieux Apologize to the Veterans? Yeah, it's fun to say "I told you so." Meet your next President at CPAC FL! Allen West is running for Congress. Period. Don't forget: Florida Senate Debate Saturday! Own a small business? Good luck! Hey LeMieux, 6 + 6 = 12! Sunshine State at Red State! Event reminder: Meet Karen Harrington tonight! Of course he endorsed LeMieux! Maybe this is why the markets are freaking out?